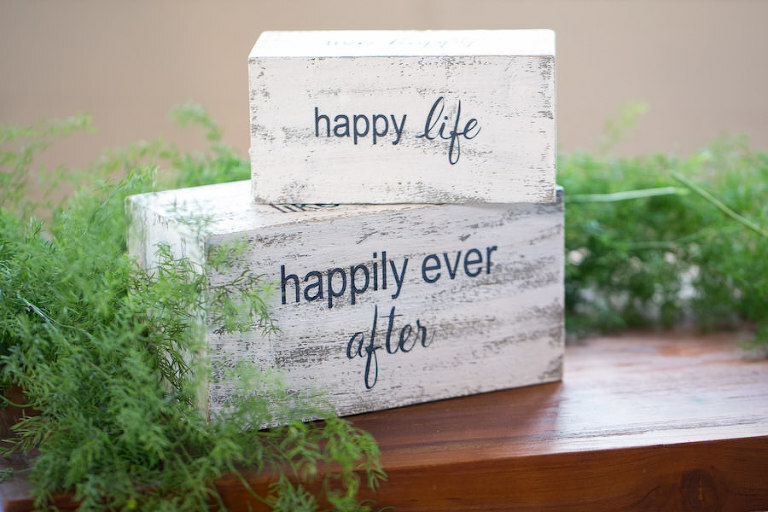 We love styled wedding shoots because they allow Tampa Bay wedding pros to step outside of the traditional box and showcase their vast creativity. 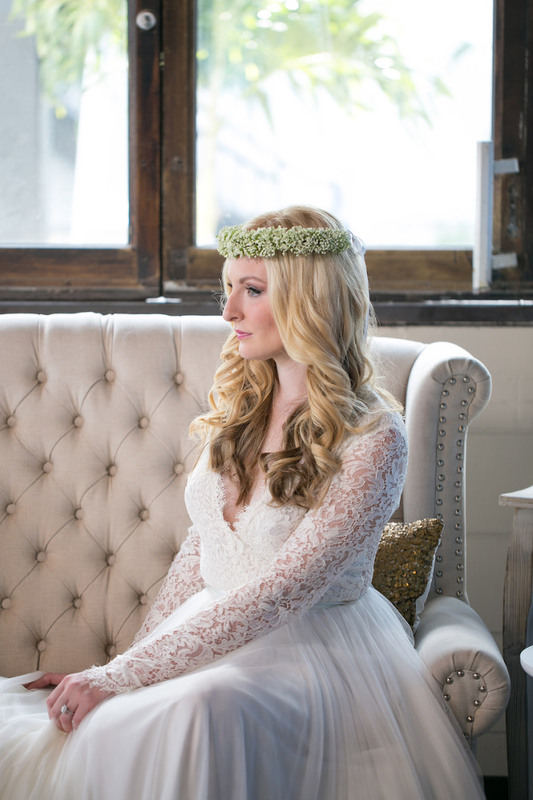 Ivy Astoria, Ybor City’s newest wedding venue (venue now closed), was the perfect location to bring the outdoors in for an urban, yet romantic styled wedding captured by Tampa wedding photographer Carrie Wildes Photography. To complement the venue’s unique characteristics, Ivy Astoria venue owner Jennifer Sanschagrin and event designer Liz Kamali Events added a variety of textures from white drapery to lush greenery to give the wedding space added dimension. “The theme, elegant romantic/modern, vintage, shared elements of enchanted garden and greenery, yet with a modern, industrial twist,” Liz explained. The design team chose a bold rose, teal and gold color palette to create a romantic atmosphere. 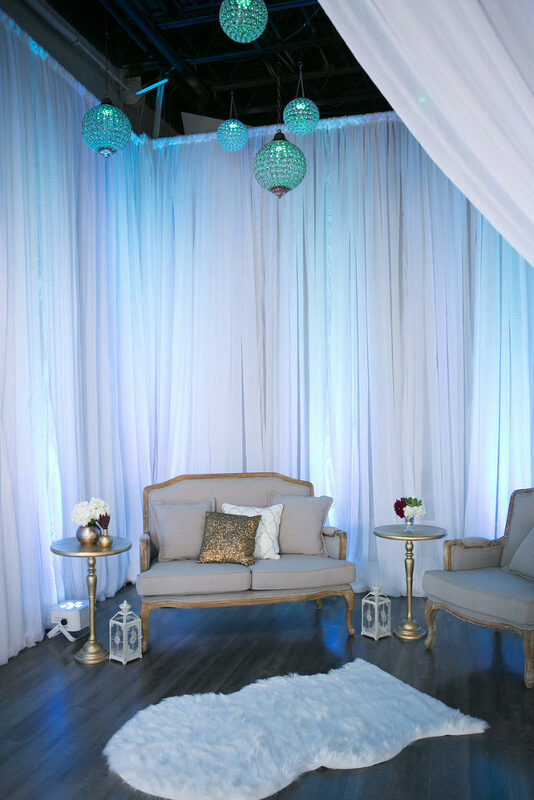 “We chose these because they were soft, yet bold statement colors that lent well with the enchanted feel and elegance of the space, Jennifer shared. The contrast of the metallic charger plates, dark wooden tables and white french country chairs from A Chair Affair added to the unique ambiance of the venue. 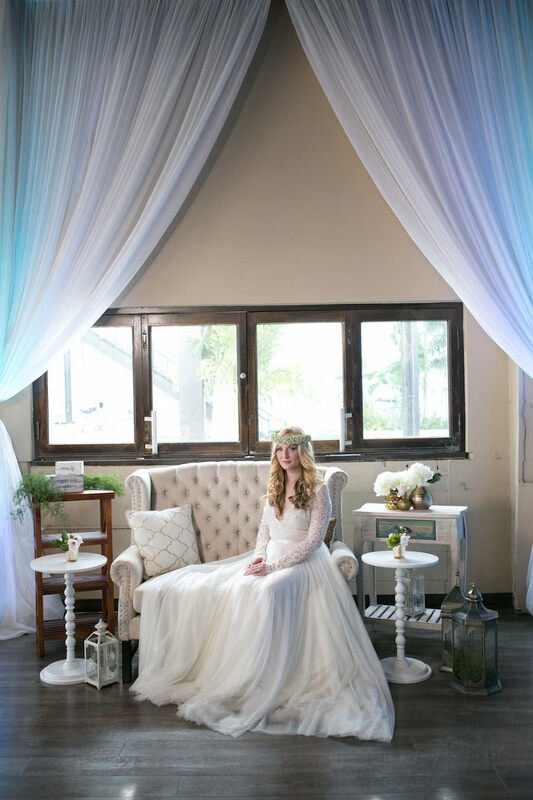 From textured linens, to the farm tables and contrasting cross back chairs, the details brought this shoot to life,” Jennifer added. Elegant romantic/modern, vintage. This theme shared elements of enchanted garden and greenery, yet with a modern, industrial twist. We wanted something modern yet unique. Rose, teal and gold. We chose these because they were soft, yet bold statement colors that lent well with the enchanted feel and elegance of the space. *This wedding as shown is estimated to cost $20,000-$25,000.